Tricia’s Flamenco training began in 2004 lead by Spanish grand masters. She continues to visit Spain yearly to enhance her training. In 2014, Tricia was nominated by the Instituto Flamenco La Truco of “Beca de Planta” scholarship for course VII CDFCBF. In 2016, Tricia was invited to dance at Vietnam International Latin Fiesta and was also a featured guest dance artist of Philippines’ Teatro Ambahanon. 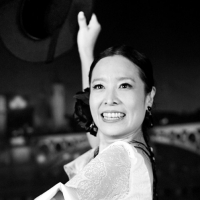 Tricia has already produced flamenco shows including: “Pasión Tricia y ChiaChien”, “Tablao Flamenco” and has performed at Flamenco Tablao La Gitanita in Taiwan. Tricia takes care of Flamenco class for adults at Dancenter.